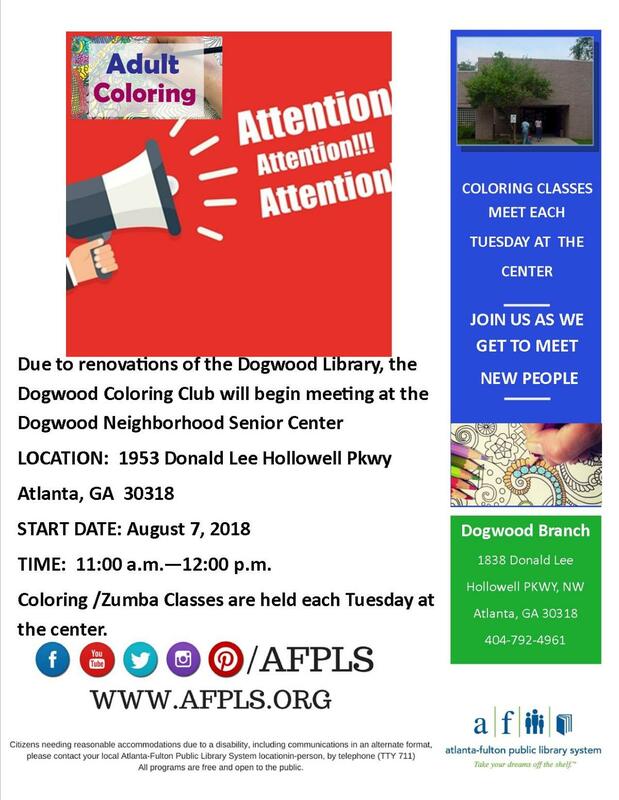 Due to renovations of the Dogwood Library, The Dogwood Coloring Club will begin meeting at the Dogwood Neighborhood Senior Center on Tuesdays beginning August 7 from 11:00 a.m. - 12:00 p.m. The address is 1953 Donald Lee Hollowell Pkwy Atlanta, GA 30318. Zumba classes are also held each Tuesday at the center.